After a few days, I knew something needed to change. 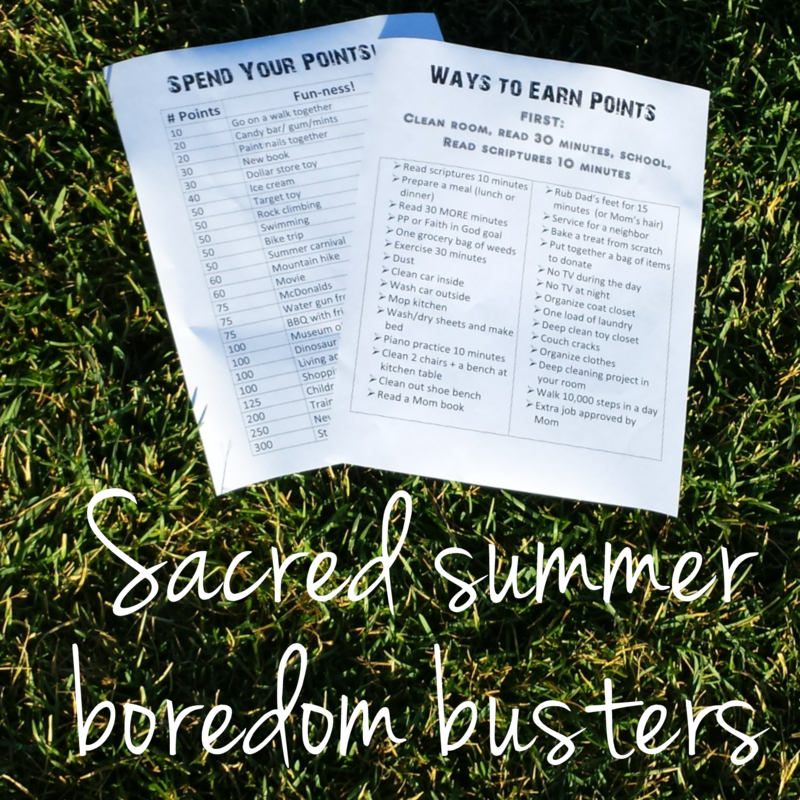 After thought and prayer, I came up with our Summer Points program. My goal was to help our entire family use the extra time of summer to learn new skills, provide service, keep their minds sharp for school, encourage scripture reading and decrease complaining! When the kids want an item or to do an activity, we add it to the list of things to work towards. When they beg for something, we direct them to their points chart. We talk about points all the time. And we also limit screen time to 1-2 hours a day or less. We read scriptures as a family each night, and tally our points for the day then. This works well for my kids, who are ages 6 to 12. They are motivated to try to find ways to earn those points and it takes so much pressure off me. 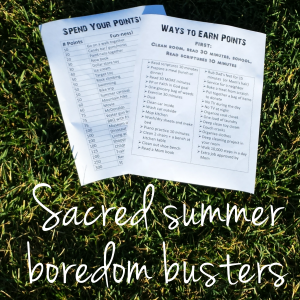 So now I present to you our Sacred Summer Boredom Busters. Click on the link to download the free points chart for your family. It’s in a format you can edit to suit your own family. Use your time to make your summer sacred! Enjoy!